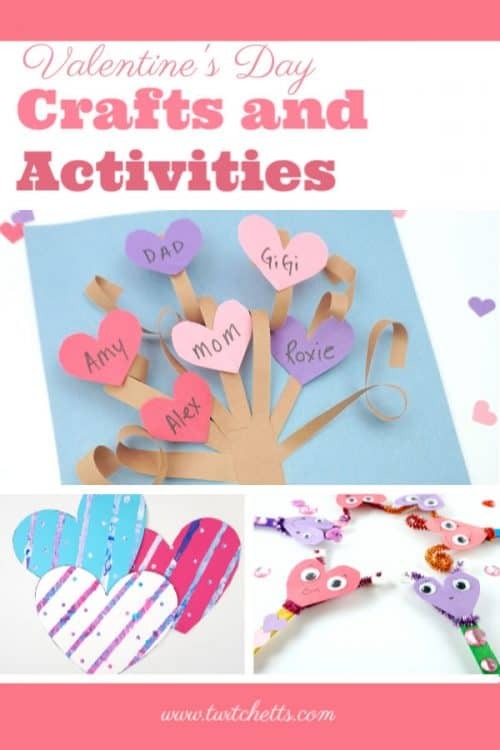 Get inspired by this growing list of amazing Valentine’s Day crafts and fun activities for celebrating Valentine’s Day. Find a new family tradition or the perfect craft for your classroom! 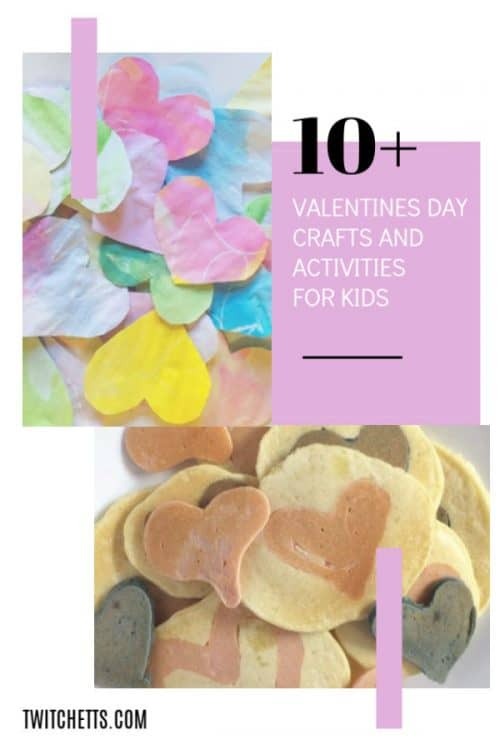 Coming up with fun Valentine’s Day crafts and activities that kids will love can be a challenge. You want a craft that will hold their attention. Plus it helps if they make nice gifts for loved ones too. I love decorating our living room with hearts and things that remind us of how much we love each other. 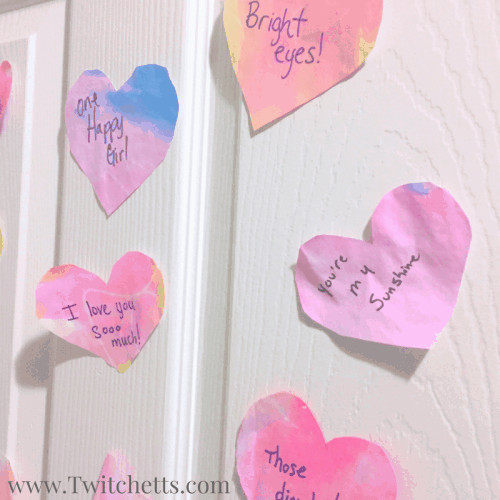 My daughter loves that Valentine’s Day crafts involve a lot of pinks. 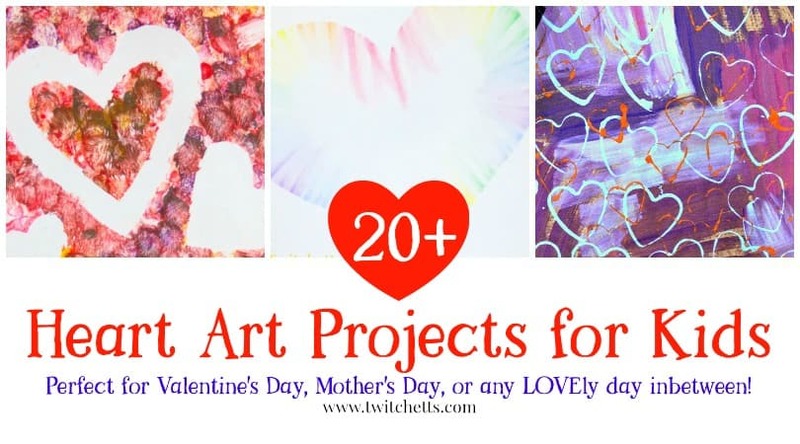 Whatever you love about the holiday, I’m sure there is a craft or activity that’s perfect for your kiddos. 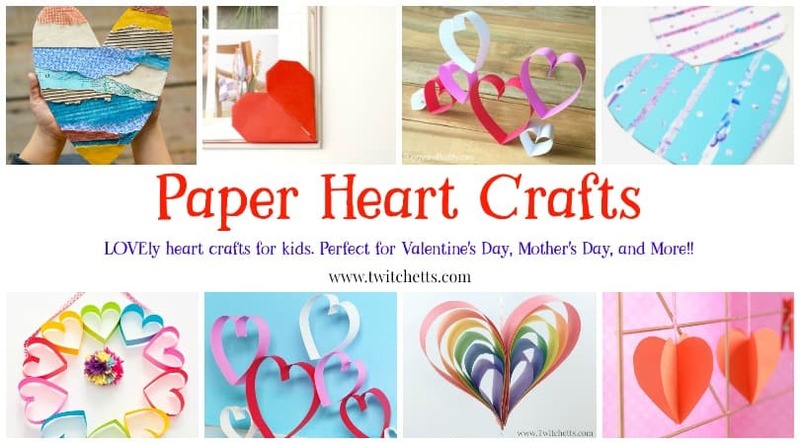 From simple construction paper crafts to beautiful heart art. 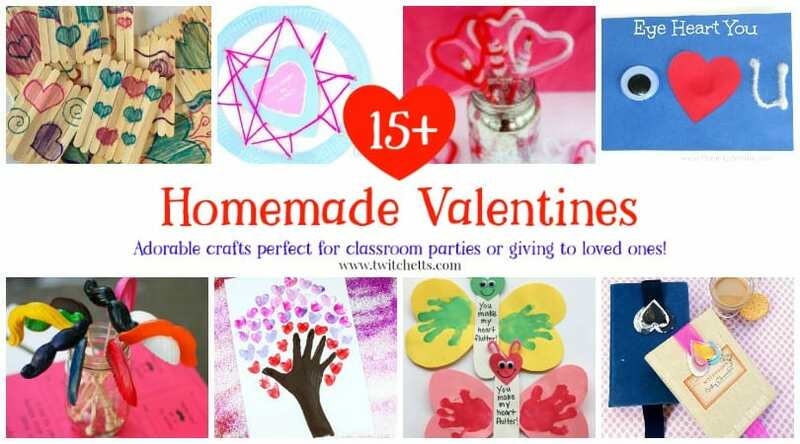 You’ll find Valentine’s Day crafts that will fill someone’s heart with joy. 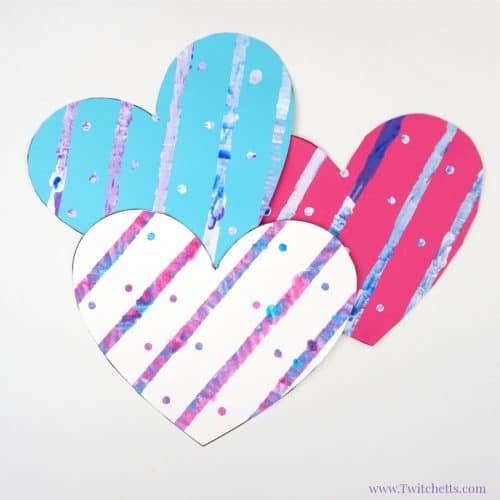 Create cards, bookmarks, and more with this fun mended paper hearts craft. 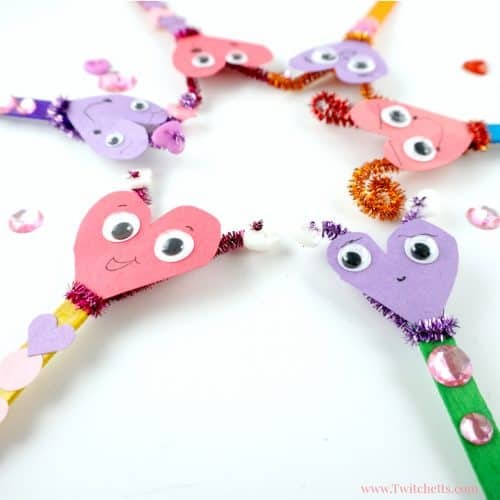 These fun paper heart wands are fun for celebrating Valentine’s Day! 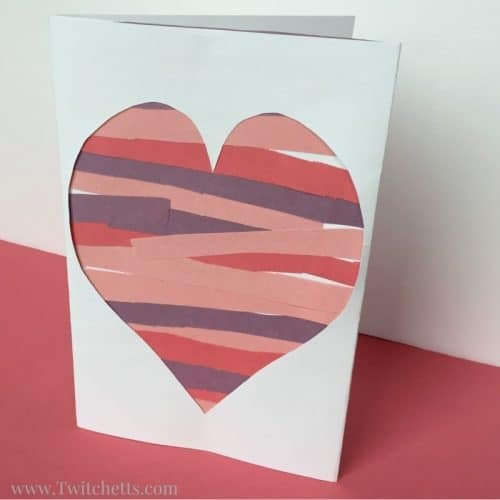 Grab our template and create these fun 3D cards! These paper heart puppets are so adorable. 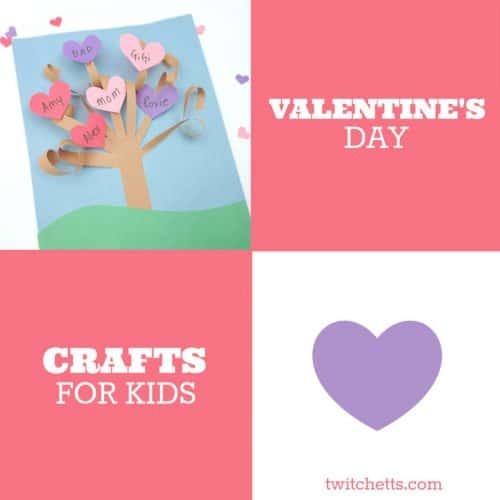 Your kids will love playing with them after the crafting is done! 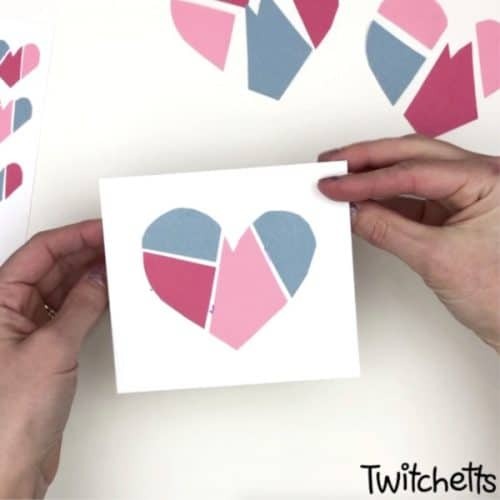 Use the template to make perfectly painted paper hearts. Grab the template and let your youngest kids paint away! 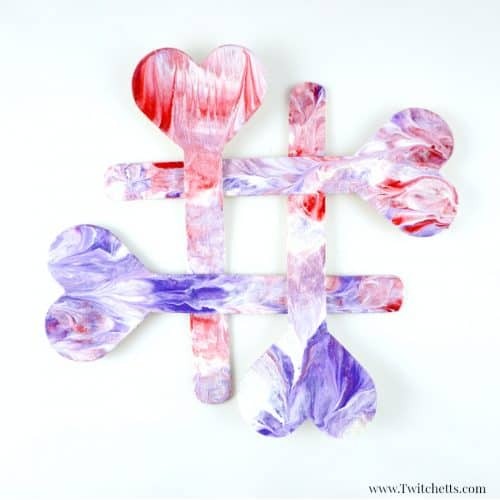 Give these heart bookmarks as gifts, keep them for yourself, or do both! They are so easy to make, you can make stacks! 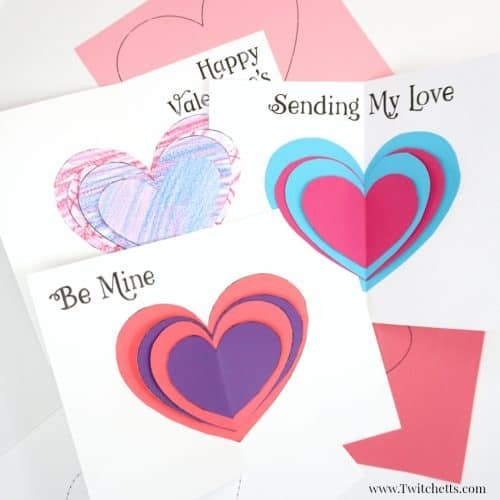 Let your little ones create a fun Valentine’s Day card while building their scissor skills! 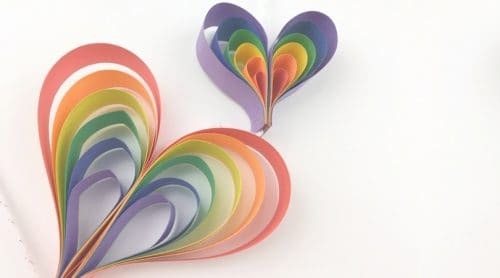 Use construction paper to create this fun heart shaped mobile. Perfect for decorating a classroom! Don’t throw away that candy heart box. 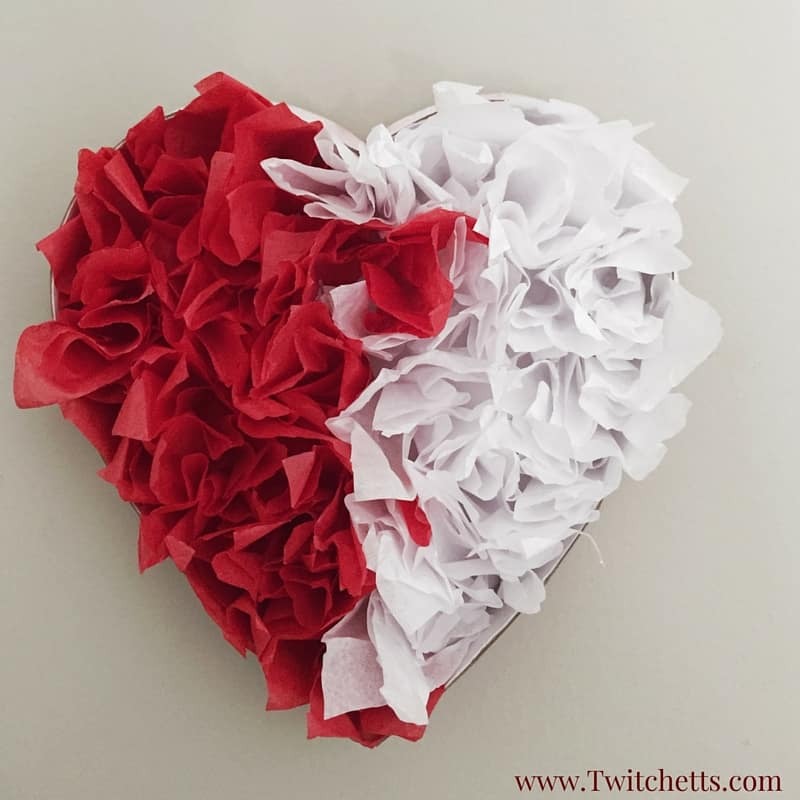 Use it to create this fun tissue paper heart. Kids love passing out classroom Valentine’s Day cards. We love providing non-candy options. 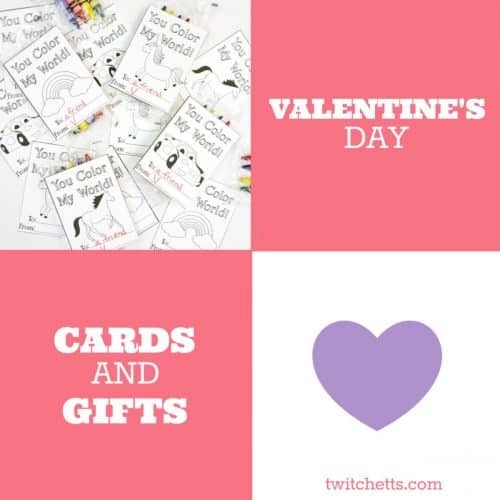 These classroom valentines are perfect for their next class party! 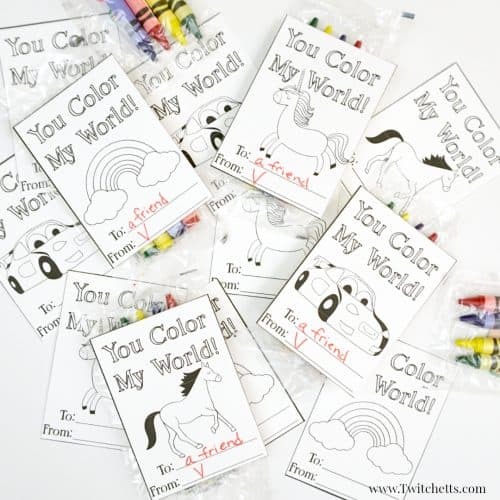 These fun printable coloring Valentines pair perfectly with a small pack of crayons. 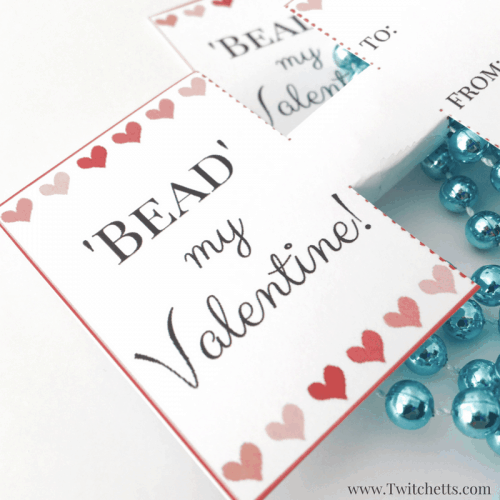 Pair this printable bead Valentine with some fun necklaces! Kids will love sharing them with their friends. 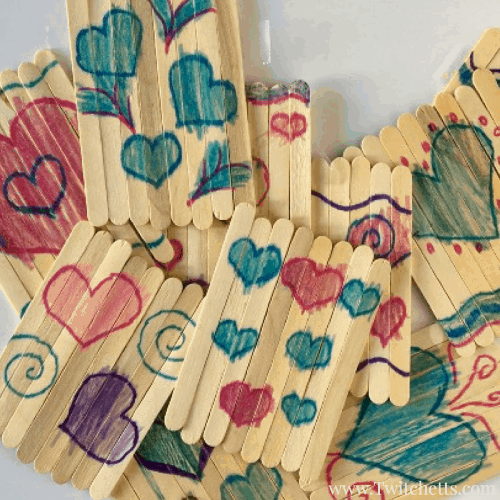 Let your kids decorate and pass out these fun classroom craft stick Valentines! 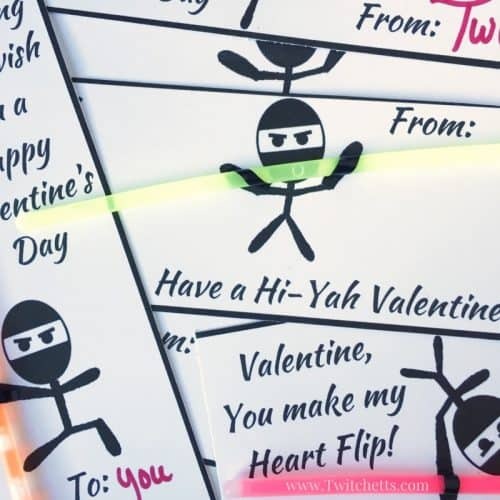 These printable ninja Valentines are perfect for kids to pass out in their class, without getting all mushy! Valentine’s Day is all about showing the love. 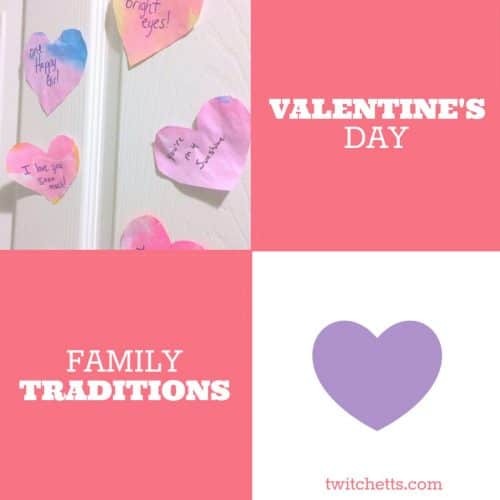 These are some of the fun Valentine’s Day traditions we have in our families. 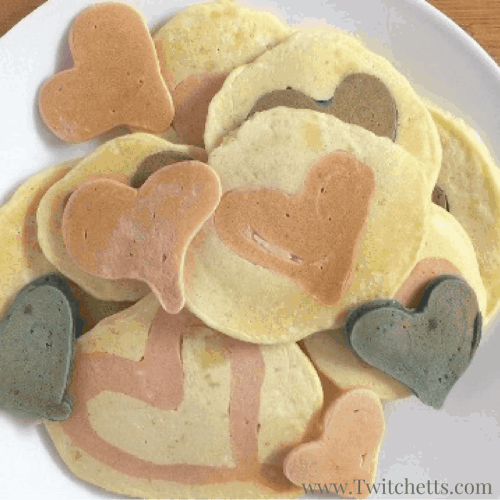 These heart pancakes are perfect for Valentine’s Day breakfast. Learn how to naturally make pinks and purples with this recipe. All through February, we share all of the reasons we love each other with this fun family tradition. Which of these fun Valentine’s Day activities will you try first? 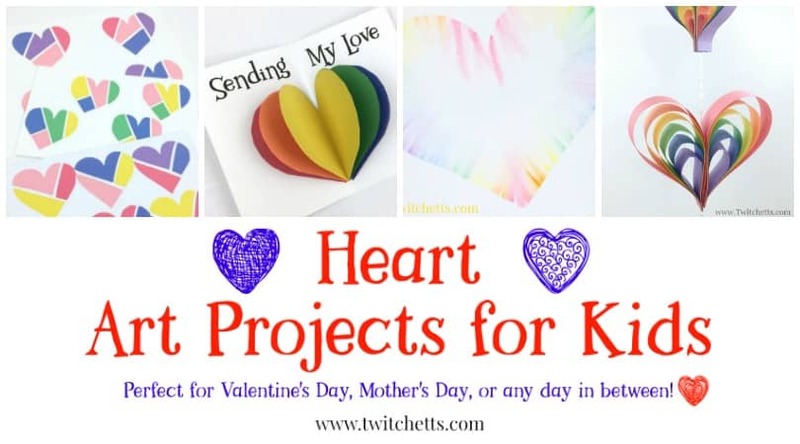 I’m excited to make some fun watercolor hearts and seeing what my kids come up with. 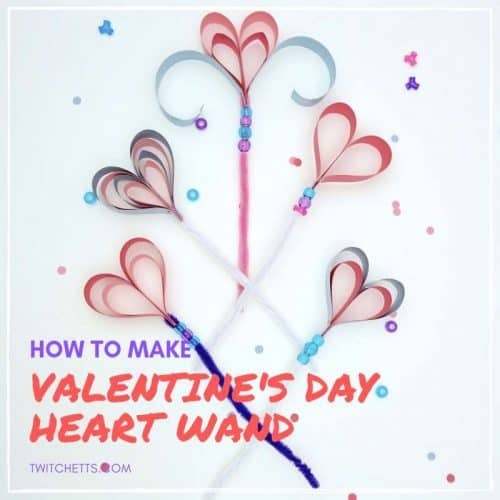 If you loved this collection of Valentine’s Day ideas, please share on your favorite Pinterest board!